Lay-in grid systems. Concealed ceiling systems. M.F. Ceiling systems. We are here to advise you on what system would work best for you. If you are looking for a low cost system or something a little bit more elaborate, we are here to help. The average shop ceiling can be erected in one or two days, causing minimum disruption to your business. If you don’t want to close for business, no problem, we’ll work through the night and have you ship-shape ready for trading in the morning. 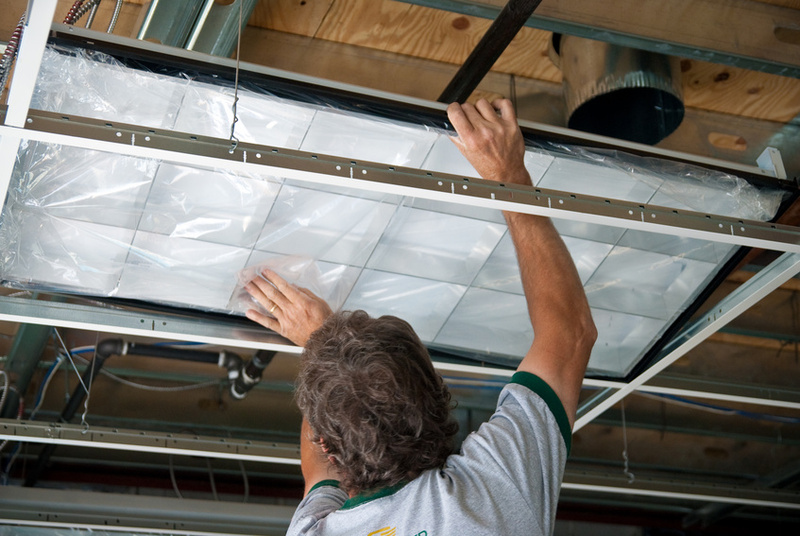 One of the major benefits of having a suspended ceiling installed where there is excess space overhead is the fact that heat rises; during the long winter moths you could be spending a fortune heating space that you never use. A suspended ceiling could save on your heating bills and provide a professional appearance to your shop or office.